EE has launched a 300Mbps 4G in the Tech City neighbourhood of London -- the fastest, commercial service delivered over a mobile network to date. EE service has a theoretical maximum downlink speed of 300Mbps that is enabled by carrier aggregation. EE is combining 20MHz of 1800MHz spectrum and 20MHz of 2.6GHz spectrum using an LTE-Advanced architecture. On the customer side, there is a CAT6 Huawei router with 802.11ac Wi-fi. The device can provide a high speed mobile Wi-Fi connection to up to twenty devices, and devices enabled with 802.11ac can access speeds as high as 200Mbps. EE expects that the the first commercially available Mobile Wi-Fi units will be introduced by summer 2014, also by Huawei, with handsets to follow in the second half of the year. EE CEO Olaf Swantee showcased the launch at the Huawei Global Mobile Broadband Forum in London. Huawei is EE's 4G technology partner for this world-leading mobile innovation. 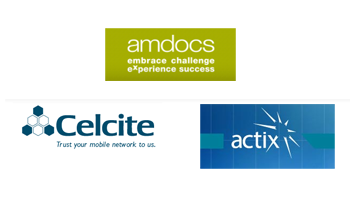 "Today we are introducing the next age of 4G mobile technology to the UK. Our existing 4G network delivers incredible mobile data speeds and covers millions of people across the country, but we never stand still. We know that mobile data usage is going to keep increasing, and rapidly so," stated Swantee. "The network we're switching on today in Tech City uses the spectrum that we acquired in the Ofcom spectrum auction earlier this year, and is the first part of an infrastructure that can meet the future demands of an increasingly data-hungry nation, enabling us to stay one-step ahead of the demand." The company noted that the BBC iPlayer streams at 5Mbps, whereas 4K TV will stream at 20Mbps, implying that applications will emerge to take advantage of LTE-A capabilities. 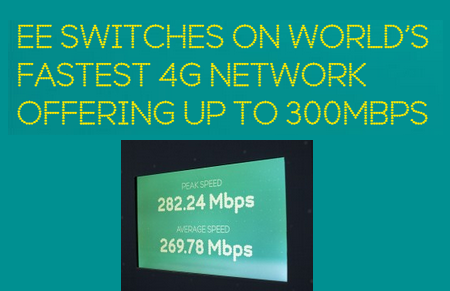 EE also said that it now has over 1.2 million 4G customers and a 4G network that covers 131 towns and cities - approximately 60% of the population. The network was launched one year ago. 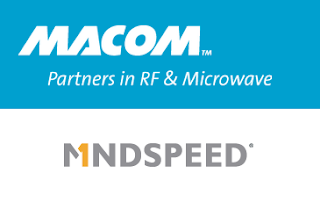 M/A-COM Technology Solutions, a supplier of high performance RF, microwave, and millimeter wave products, agreed to acquire Mindspeed Technologies for $5.05 per share in a cash, a 66% premium over the company's previous close of $3.04 on November 4, 2013. This represents an enterprise value of $270 million. Mindspeed, which is based in Newport Beach, California, supplies semiconductors for communications infrastructure, including broadband access networks (fixed and mobile), enterprise networks and metropolitan and wide area networks (fixed and mobile). Its main product lines include its Transcede family of low-power, multi-core system-on-chip (SoC) solutions for 3G and 4G/LTE small cell base stations, and its Comcerto family of processors for triple-play access gateways. M/A-COM, which is based in Lowell, Massachusetts, supplies high performance RF, microwave, and millimeter wave products that enable next-generation internet and modern battlefield applications. 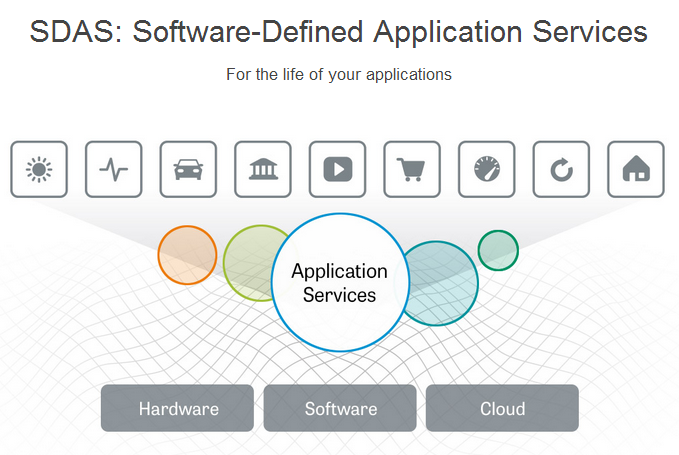 F5 Networks outlined its "Synthesis" architectural vision for building elastic, software-defined application services (SDAS). F5's goal is to provide a high-performance services fabric across all types of systems and environments, including software defined networks (SDN), virtual infrastructures, and cloud. F5 said its ScaleN services fabric can support up to 1.28 million instances in a combination of administrative domains and virtual instances with a combined throughput of 20.5 TB and connection capacity of 9.2 billion. A centralized management system enables the automated discovery, topology, and provisioning of service fabric instances, reducing the operational overhead associated with manual processes. In support of this vision, F5 is introducing a tiered licensing model to consolidate purchasing options for its solutions and significantly reduce customer costs when application services are deployed in concert versus individually. “F5 is highly aware of the shifts transforming the Application Delivery Controller (ADC) market, based on ongoing dialogue with customers, partners, and industry influencers. With Synthesis, we are better aligning around the priorities and deployment preferences of enterprises and service providers to best address the direction IT is headed—billions of users, trillions of internet-connected devices, and millions of essential applications. To support this growth, we view the ability to massively scale services, elastically provision resources, and interoperate with a variety of open and proprietary platforms as non-negotiable. This announcement reflects our belief that F5 is ideally positioned to help organizations take advantage of today’s exciting and disruptive technologies, without prohibitive complexity or tradeoffs in application performance and security," stated Manny Rivelo, EVP of Strategic Solutions at F5. 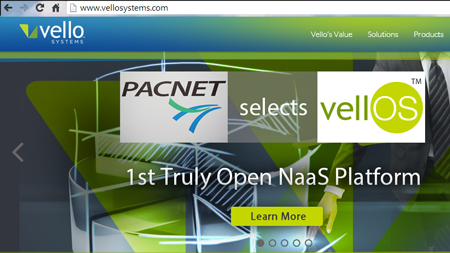 Pacnet is building a pan-Asia Network-as-a-Service (NaaS) platform using Vello’s Connectivity Exchange software and OpenStack from Mirantis. Pacnet Enabled Network (PEN) will provide carriers and large enterprises with the ability to provision network bandwidth on-demand across the Pacnet undersea cable system. VellOS Connectivity Exchange also provides Pacnet with "intelligent overprovisioning." Vello said this ensures that expensive WAN links between countries and data centers are always fully utilized and monetized via software control of data flows associated with tiered SLAs. Pacnet will provide tiered SLAs with on-demand provisioning, just-in-time provisioning, bandwidth calendaring, and automatic path recalculation and failover. The network-as-a-service will be available via 10 data centers in Australia, Hong Kong, Japan and Singapore at launch in Q1 2014, followed by the US and China by first half of 2014, and eventually expand to all its interconnected data centers across 14 cities in the Asia-Pacific region. Telefónica Global Solutions has deployed Ciena’s 100G coherent optical transport technology on its SAm-1 submarine and terrestrial network, which is the largest submarine fiber network connecting the U.S. to Latin America. The network currently has an activated IP capacity that exceeds a total of 6 Tbps. Financial terms were not disclosed. 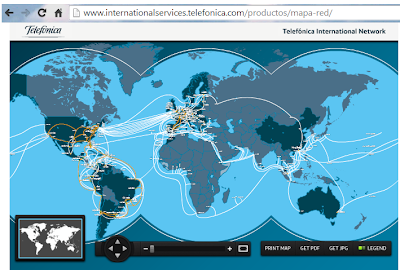 Specifically, Telefónica Global Solutions deployed Ciena’s 5400 Reconfigurable Switching System and 6500 Packet-Optical Platform, powered by WaveLogic 3 100G Coherent Optical Processors, including advanced ROADM features and GeoMesh optical bypass, to support its 25,000 km submarine and terrestrial network. The 5400 equipped with coherent optical processors provides 100G services across multiple network links, including a 6,700 km submarine network link that connects Boca Raton, Florida to Fortaleza in Brazil; and a 2,100 km unregenerated terrestrial network link that connects Buenos Aires in Argentina to Valparaiso in Chile, reducing network latency and complexity. The 5400 improves intelligent traffic management and bandwidth availability with 3.6T of switching capacity in eight of the Telefónica Global Solutions´ Central and South America landing stations, and 7.2T of switching capacity in the U.S. landing stations. Big Switch Networks named Douglas Murray as its new CEO, replacing company co-founder Guido Appenzeller, who will continue with the company as Chief Technology Officer and board member. Murray comes to Big Switch from Juniper Networks, where he most recently served as senior vice president of Asia Pacific, Japan and Greater China, and before that as senior vice president and GM of the data center security business. Prior to joining Juniper, Murray was the General Manager of the Volume Products Group at Extreme Networks. "With Doug, we have found the right CEO to take Big Switch to the next level," said Big Switch Networks co-founder Guido Appenzeller. "His breadth of data center expertise led him to resonate with our goals for SDN, and his go-to-market experience is just what the company needs in this next phase of growth. His recent Asia experience has given him a front row seat to the most highly evolved market for SDN, and we could not be more thrilled with our choice. We are confident he is the right person to lead us forward." 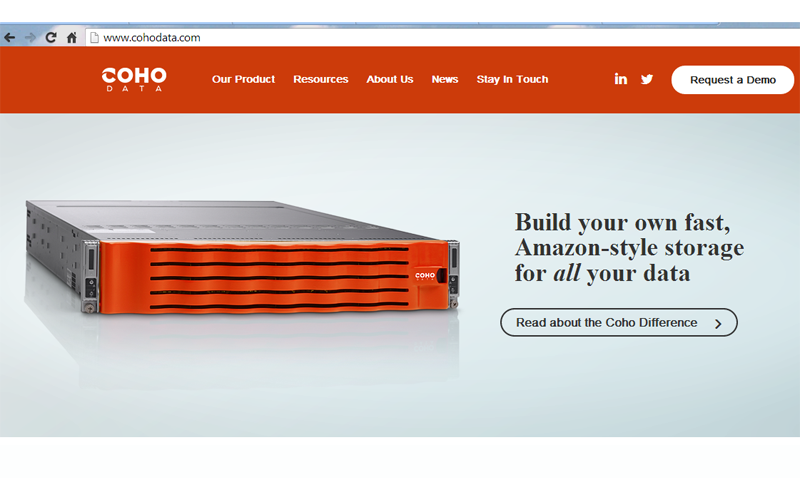 Coho Data, a start-up based in Sunnyvale, California with R&D in Vancouver (Canada) and Cambridge (UK), announced $25 million Series B funding to support its new storage architecture that combines flash arrays for performance, COTS server hardware for scale-out sizing, and SDN intelligence. The funding round was led by new investor, Ignition Partners, and included existing investor, Andreessen Horowitz. 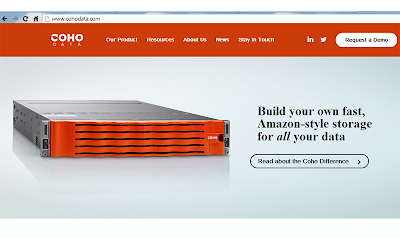 The company plans to use the money to accelerate its go-to-market efforts as the it prepares for general availability of Coho DataStream later this year. Broadcom introduced a Gigabit Ethernet (GbE) Controller that integrates a management controller with a high-performance network controller. The device features remote discovery, monitoring, control and management capabilities and is aimed at hyper-scale server environments. 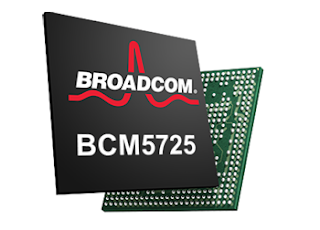 "Broadcom is delivering cost-effective, open and standards-based system management technologies to support emerging trends such as cloud computing," said Greg Scherer, Broadcom's vice president of server and storage strategy. "We are enabling a new class of networking products, such as Open Compute Project AMD Open 3.0 Modular Server, through our advanced Ethernet controllers with enhanced manageability and features." TruManage technology with system management features, including asset tracking of hardware/software inventory, sensors-based monitoring, power control (graceful and ungraceful), boot control, BIOS management, power consumption reporting, etc.